Made of Solid Hardwood Parawood. 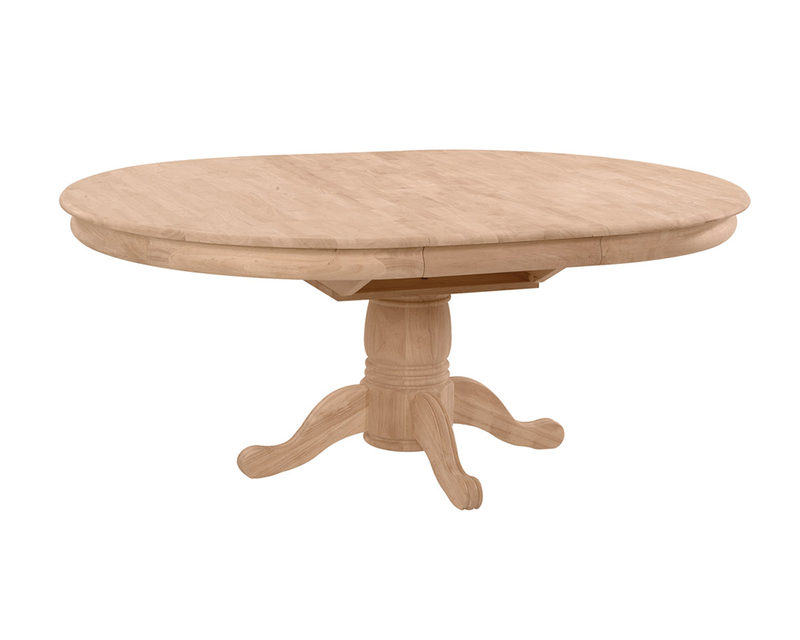 Table is 54" Round With a Self-Storing Leaf that Extend the Table to 54" x 72". Shown with 10" Traditional Pedestal Sold Separately. Can be Used with the Following Pedestal Bases: T-54XB, T-17XB, and T-10XB (Sold Separately). Priced Here Unfinished, Also Available in Your Choice of Factory Finish.